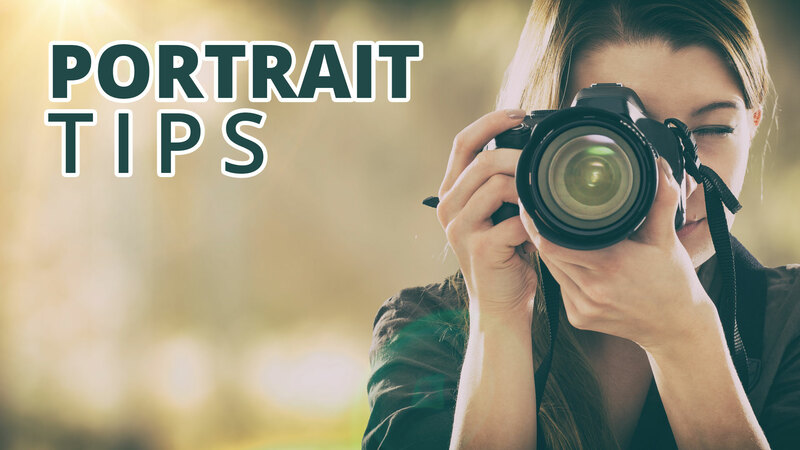 Portrait Tips: How close should the light be to your subject? This is a great question, but when you’re getting going making portraits (and especially when you’re buying gear) it often gets overlooked. How close should your light be to your subject? Furthermore, what effect does a different distance have on the photo? Let’s start with the impact the distance makes. Feel free to skip to the last section for the quick answer. When you bring a light closer to your subject, you make it bigger in relation to your subject, and a bigger light is softer. For instance, the sun is more than 860,000 miles in diameter, but in relation to my subject standing outside, it’s only about one inch across. The sun casts a hard shadow and is a hard light source on Earth, but if you were standing closer (maybe on Mercury) it would be much bigger in relation to your subject and cast a much softer light (though, it might melt your subject’s face off, too). So if you move your light closer to your subject, it will cast softer shadows which are usually more flattering. The tradeoff is that moving the light closer also makes it more contrasty. The bright side of the face will be much brighter than the shadow side. That means that when you expose properly for the bright side, the shadows will be darker. If you put the light right next to your subject’s face, the shadows could be totally black, but they’ll have a nice soft transition from light to black. This also means that if you plan to light a group of people, the ones standing closer to the light will have more light on them, and those farther from the light will be darker. When making a headshot or group portrait, you rarely want that much contrast on the face, though it could be really fun for a creative portrait. Instead of getting closer to the light to make it softer, you might just want to use a larger light. Instead of a small attachment on your speedlight, you could use an umbrella and get a very soft light without increasing the contrast so much. I often use a huge seven-foot umbrella to get soft light from a moderate distance, like eight or 10 feet. It also works well to illuminate many people at once. That’s a speedlight in a softbox positioned as close to my subject as possible. If you’re using a battery-powered light, like a speedlight, then you should remember that bringing the light closer to your subject makes more light fall on your subject it appears brighter. That means that bringing the light closer to your subject uses less power to get the same brightness. In fact, you can easily calculate exactly how much brighter the light will be if you bring it closer using the inverse square law. If your light is four feet away and the exposure is good at f/8, then bringing the light half as far to two feet away makes it two stops brighter, so f/16 would now be the right exposure without changing the power on the light. Or, if you wanted to keep f/8, you could now reduce the brightness of the light to 1/4 what it was. That means the batteries will last four times longer if you move the light half as far away. Read that again and think about it. Just answer the question! How close should my light be??? In my work, most of the time, the light should be as close as possible to my subject without being in the picture. In fact, my light is often in the picture, but I make sure it’s in a place where it can be easily removed in post. If it’s natural light, I work the same way, getting as close to the window as possible while maintaining the background I need. I put it close so it’s soft, no matter what size my modifier is. If the contrast is too great, I use a reflector on the other side to brighten the shadows. When it’s close, I can use a lower power setting and get more life from my batteries. Put your light as close as possible without being in the picture and experiment to see what difference it makes to move it farther away. Of course, it’ll be darker, so make sure you change the exposure with the change in the distance so you can see what effect the distance has on the quality of the light, not just the brightness.